His regard and respect for traditional values and openness to modern ideas, blended perfectly with his admirable personality. The Ramrao Adik Institute of Technology in Navi Mumbai, established two decades ago and the Krish Vigyan Kendra in Kohlapur bear a testimony to his chosen causes. 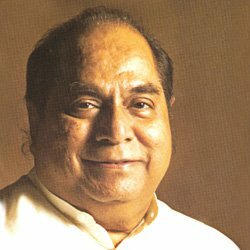 Amongst the hundred and over institutes founded by him, the Padmashree Dr D Y Patil Vidyapeeth is virtually the jewel in his crown. Humble and unassuming Dr D Y Patil is better known for his work, rather than the awards and recognition he has received over the years. For his pioneering contribution in the field of education, he was honoured with the title 'Padmashree' by the President of India. D Y Patil Knowledge City, Pune and the D Y Patil International Schools have been planned under his leadership He has been honoured with an Honorary Doctorate by the University of Central Lancanshire, United Kingdom.